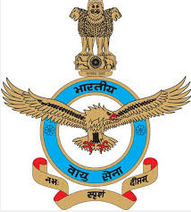 Indian Air Force (IAF) direct recruitment of unmarried outstanding sportsmen (Only Male Indian Citizens) against Sports Quota for selection as Airmen in Group 'Y' trades in various sports discipline. Eligible candidates apply within 21 days from the date of advertisement in Employment News 30 January - 5 February 2016 Issue. Sports Discipline: Athletics, Basketball, Boxing, Cross Country, Cricket, Cycling, Football, Gymnastics, Hockey, Handball, Kabaddi, Lawn Tennis, Shooting, Swimming, Volleyball, Water Polo, Wrestling, Weightlifting and Golf. (i) Individual should have represented the country in Junior International meets in any of the above mentioned sports discipline. The current achievement would be given preference during selection trials. (ii) Individual should have attained the standard of fifth place in the Junior National Championship or Inter University Championship in above mentioned sports discipline. The current achievement would be given preference during selection trials. (iii) In team events, the individual should have represented state in Junior National Championship and National School Tournament conducted by School Games Federation of India' (SGFI) 'in required sports discipline. The current achievement would be given preference during selection trials. (a) Height: Minimum acceptable height: 152.5 cm. (b) Chest: Minimum range of expansion: 5 cm. (c) Weight: Proportionate.to height and age. (h) Health: Candidates should be free from Medical or Surgical deformity. He should be free from all communicable diseases and skin ailments. Candidates must be physically and mentally FIT to perform duty in any part of the world, in any climate and terrain. The candidates are advised to get wax removed from their ears and tartar and stains removed from their teeth before appearing for selection trials. (a) Physical Fitness Test (PFT): PFT consists of a 1.6 Km run to be completed within 8 minutes. Candidates completing the PFT in less than 7 minutes 30 seconds will be awarded additional marks on a sliding scale. Candidates are advised to bring their sports kit/playing kit/sports shoes and shorts. (c) Candidates who qualify in PFT and selection trials for the game applied will be called for interview. (d) Those who are recommended will appear in Medical Examination conducted by Air Force Medical Team as per IAF-medical standards. How to Apply: Application should be on A4 Size Paper only in the prescribed application format. Application duly completed in all respects must reach to SECRETARY, AIR FORCE SPORTS CONTROL BOARD, C/O AIR FORCE STATION, NEW DELHI RACE COURSE, NEW DELHI - 110003 by ordinary post within 21 days from date of publishing of advertisement in Employment News (i.e. Last date may be 19/02/2016). The envelope containing the application form should be marked on top as OUTSTANDING SPORTSMEN FOR GROUP 'Y' TRADES SPORTS DISCIPLINE APPLIED FOR ______.